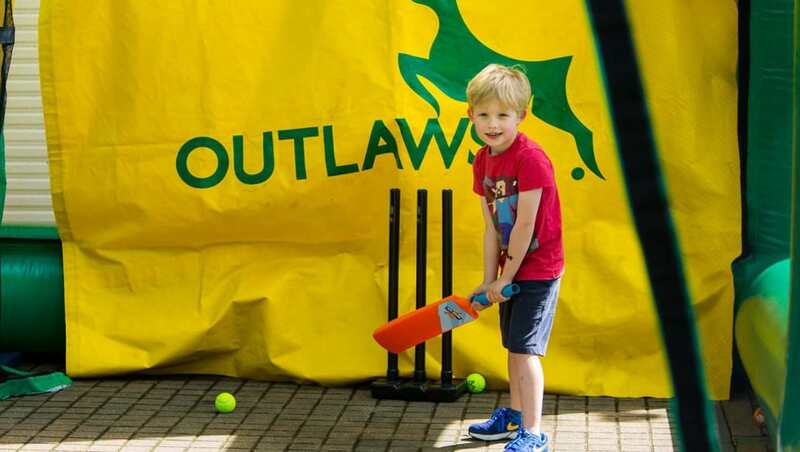 William Clarke Stand: Outlaws Family Zone - this stand is now Trent Bridge's designated alcohol-free family zone doe T20 cricket and you'll find this stand nestled between the Radcliffe Road End and the Smith Cooper Stand. Within this seating area, there's plenty to keep children entertained, with free face painting, glitter tattoos, a magician and regular visits from our mascot, Nuts the Squirrel (entertainment is subject to change). Junior Wrist Bands - at all NatWest T20 Blast matches, spectators visiting with children can take advantage of our new free wrist band system. Simply collect your band from one of our gate Stewards or volunteers, or alternatively ask a member of staff on the Radcliffe Road Reception or Ticket Office. Baby Changing Facilities - are available in the Members’ Pavilion disabled toilets, the squash complex ladies' toilets (access via the Ticket Office near the back entrance to the Pavilion), the William Clarke Stand ladies toilets and the first-floor toilets on the East Wing of the Radcliffe Road Centre. The squash complex changing rooms can be made available upon request from a steward as further baby changing facilities accessible to men, or as a quiet feeding area. Pushchairs are welcome at Trent Bridge and there are various areas to park them around the ground. Food and drink - there are a variety of food and drink outlets available with children’s portions, as well as ice cream and sweets stalls. Our friendly stewards will be delighted to help with any queries during your visit. You can downlaod our goundplan here.